TM. Do you think that consumers are starting to embrace technology in the bathroom more? CB. Yes – technology is a big topic because it’s connected to the megatrend of health. If you think about the way we’re always trying to quantify ourselves and enumerate our height and weight and so on, it is not only about constantly improving ourselves but about us starting to have an understanding of our own self-care. This is something that people are more attentive to, and it’s going to be more relevant in both bathrooms and kitchens. Technology also has everything to do with sensorial experience and being able to customise a bathroom, to fit the users’ individual needs. This will also be more important in the future with multi-generational housing and adapting products to suit different needs at the same time. TM. What are the key trends at the moment in bathroom design? CB. Wellness is a key trend. The bathroom used to be a place where you just went to clean yourself. 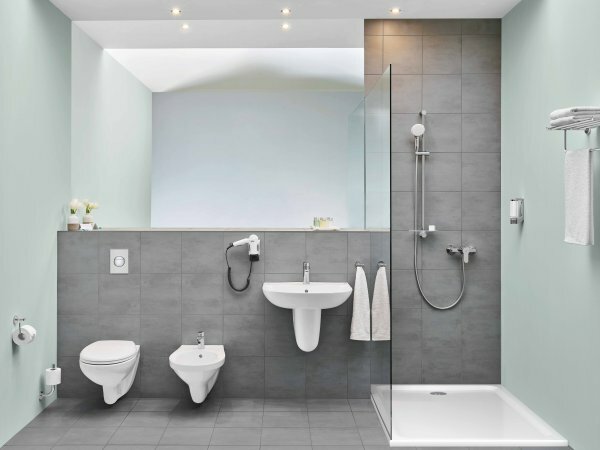 But now, when you look at all the digital products that we have surrounding us constantly in everyday life, the bathroom has become somewhere you go to find sanctuary and have a digital detox, and where you can engage in rituals and experience wellness in your home environment. TM. Is water efficiency an important factor? CB. At Grohe we design products with sustainability and water management in mind – our SmartControl technology is one example of more dynamic control of water usage and water consumption. And our Sense & Sense guard product ensures water security by detecting micro leakage and ensuring whole home water efficiency. TM. As Senior Design Manager Brand Environments, how do you set about connecting with today’s consumer? CB. At Grohe, we design for people – and we don’t just design products, but engaging design experiences as well. We think about what consumers really desire when they visit a Grohe showroom and we want to inspire them. First of all we create a multi-sensorial experience for them with our AquaSymphony water installation, in order for them to have an emotional experience with our products. Then we welcome them individually with a glass of water with Grohe Blue and provide them with a beverage experience. And then as well as that, we give them lifestyle inspiration, and explain to them how our technology works. At the end of the process – at the moment when the customer actually commits to the brand – we supply a service that provides everything they need, from deliveries to planning their bathroom or kitchen. TM. You’re expanding the number of finishes you have, and here at the show you’re exhibiting shower trays for the first time – what’s the thinking behind that? CB. The number of products that we cover is expanding because we’re trying to give the consumer a full bathroom solution. We provide everything from the most spa-like showering experience to the most functional one, so we have to consider every little need the customer might have and react to that. Even bathroom furnishings are changing – they actually make the bathroom look more like a living room than a bathroom, and we have to think about what this means for our colour finishes when we’re designing. 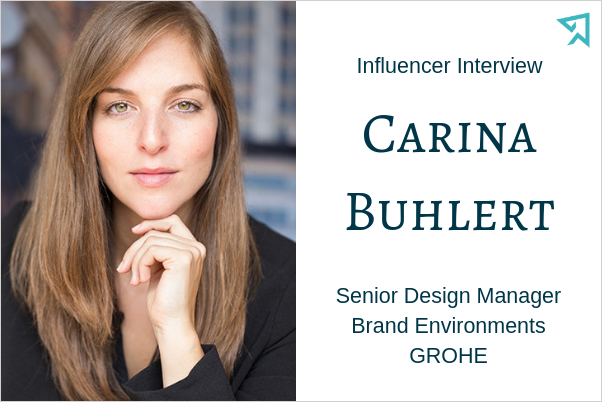 Colours are a big trend as they’re connected to the whole trend of individualisation – we need to provide the consumer with the ability to create what they want without having to search for it because they’ve found everything they need at Grohe. When we think about the end of our journey with the customer in our showrooms, by then we want them to have a very good relationship with our brand so they feel right at home. And I think we’re doing pretty well with that.